Mack Rapapali had the pleasure of speaking to self-published controversial author, Jackie Phamotse, about her life, books, and almost getting killed for telling her story. 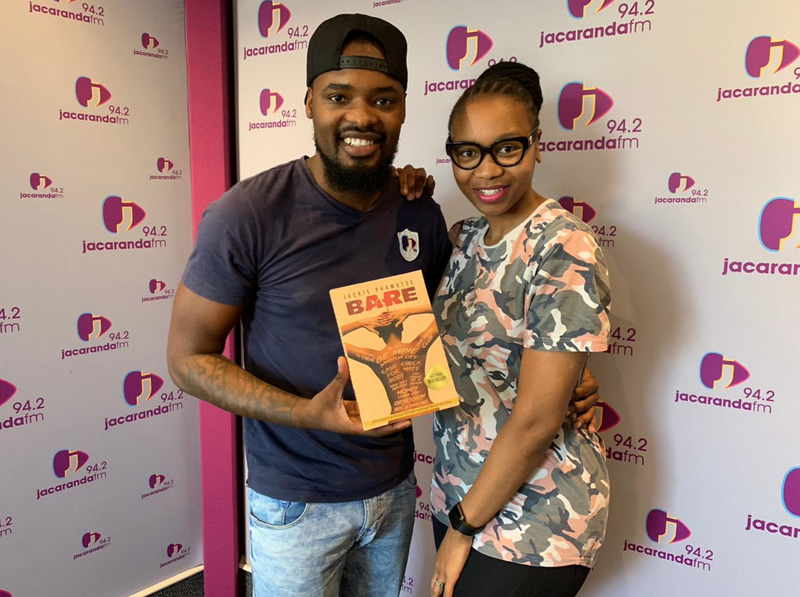 Jackie Phamotse revealed to Mack that she walks around afraid for her life after publishing her book, ‘Bare’, which exposes prominent businessmen and women, celebrities, and politicians. In the interview, Jackie shared her personal experience and the horrendous crime that was committed against her in a club in Bloemfontein. Jackie shared the shocking details about being raped by five men in a club in Bloemfontein and how one of those men is allegedly a minister who served in former President Jacob Zuma’s cabinet. In 2017, Phamotse released the expose book, 'Bare'. Since the release, the author has had her life threatened over the contents of her book and has had to spend three months in a safe house and upgrading her security detail several times in the last few years. Phamotse says ‘Bare’ is dedicated to women who have suffered violence and abuse at the hands of their partners and men in general. When asked about the reasons women do not report or speak out against abuse, she responded by saying, a lot of factors prevent women from speaking out. The power that certain men and society holds against them prevents them from speaking. A lot of women are dependent on men for their livelihoods and sometimes even independent women are unable to speak out because of the hold their partners have against them. Some women stay because they’re brought up to believe that women are strong and must endure struggles for their marriages to work. Mack further asked her about the infamous ‘Hockey Club’ and what it is exactly versus what people think it is. According to Jackie, the “Hockey Club” is a community of affluent people who come together for entertainment purposes. The community is comprised of ambassadors, ministers, businessmen and women, and celebrities. This group of people spend a lot of money on entertainment, they have houses in Durban, Cape Town, and Bryanston (which she knows of). It’s an exclusive club, you can only get in by invitation. The ministers and ambassadors, or ‘blessers’ - as they are more commonly referred to - hunt mostly on Instagram, and they then ask ‘influencers’ or ‘pimps’ to invite the men and women they would like to meet. Jackie told Mack: "There is a list of people who are used for that kind of thing, whether it be an influencer or a beautiful girl, beautiful body she works out, she looks great, but we do have people that are magnets or like a pimp, everybody knows Joburg pimps, Cape Town pimps, the Durban pimps, we know them...it's a fancier way of human trafficking. Because they make you think that you're getting things out of it, like a handbag, a phone, a trip, a holiday. When they're moving different girls around - so that's why sometimes you get reports that a girl has gone missing or can't come back into the country, or they start using drugs and they don't know how they got into drugs because things were put into their drinks or their champagne..."
According to her research, there are vacations that a lot of girls go to in groups and another 'mass vacation' should be coming up in November. If you want more details about all this, get her book! You can get the book at Exclusive Books, Amazon, Takealot and many other online stores or your nearest bookstores. Watch as she shares details about the 'Hockey Club'.